There is still time to make your voice heard by Company leadership during the annual Employee Engagement Survey (EES). 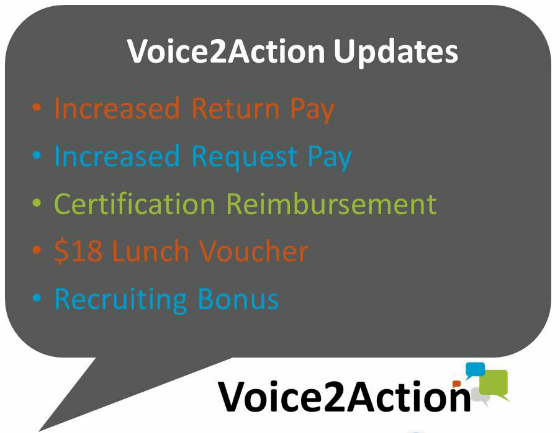 Feedback received in last year’s EES contributed to Voice2Action results like increased Return and Request Pay, PSIA and AASI Cert 1 reimbursements, increases to the lunch voucher, and the addition of the recruiting bonus. For those who have taken the survey, thank you! If you have not had the opportunity, we encourage you to share your thoughts and opinions about working at Vail Resorts by completing the survey – it’s open through Tuesday, February 3. Additionally, please continue to promote the survey to your team members through the completion deadline next Tuesday. To get started, go to VREngagementSurvey.com and enter your login (your Employee ID). The survey only takes 10 minutes to complete and all employees hired on or before December 24, 2014 are eligible to participate. Remember, this survey is completely confidential and is managed by an independent survey research firm. Thanks for your contribution to our continued efforts to make our chosen place of work one where each of us can have an Experience of a Lifetime.